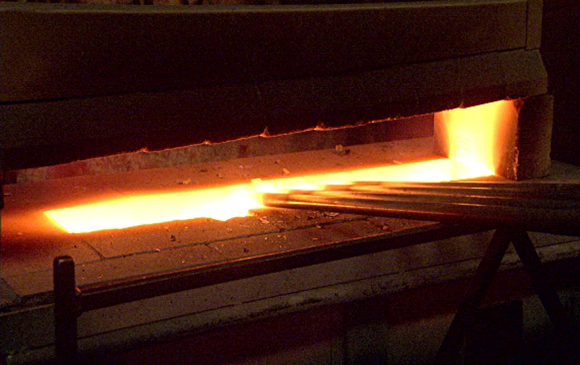 After its inception in 1983, SGI diversified its business portfolio into steel by building a Melting Furnace in 1986. SGI soon entered the Re-Rolling Mills club and in 1990 our flagship plant, Siddiqui Steel commenced operations, a perfect example of Vertical-Forward Integration. Over the time period the need for specialization in Mills to produce certain sizes led the group to acquire Classic Steel Re-Rolling Mill in 2010, the plant was modified and is now dedicated to the production of 10mm (3/8 inch) size of Steel bars for the company. Keeping an eye on the changing times and the technological advancement around the world in Steel Rolling, SGI set-up a state of the art Re-Rolling Mill in 2011 by the name of Pakistan Steel Re-Rolling Mills in Hattar, KPK. To ensure smooth supply of billets for Steel bars production, SGI acquired a 7 Tons Induction Melting Furnace in 2014, named Siddiqui Steel Furnace the melting furnace is based on US technology (Inductotherm Corp.).